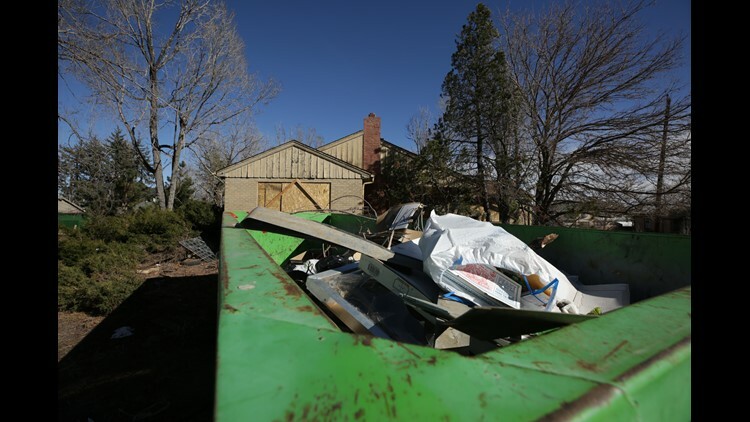 Chuck Frary was found more than a year after he was first reported missing, buried under a pile of trash in his own home. 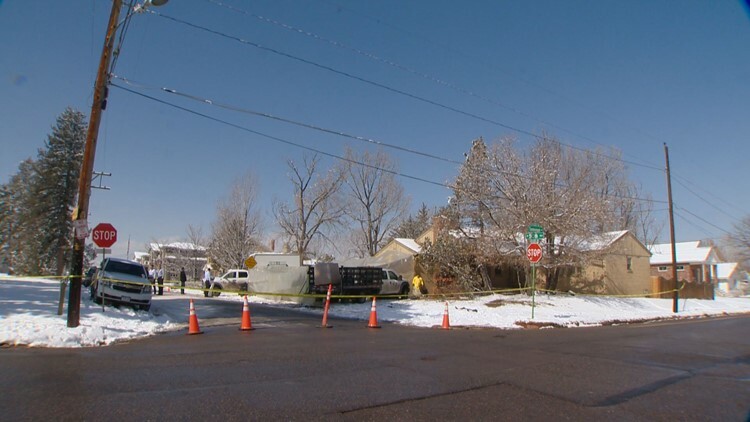 KUSA — DENVER - The remains of a mentally ill elderly man were found more than a year after he was reported missing inside his own home -- in spite of multiple visits by his family, police and environmental health. Who’s to BLAME for Chuck Frary being Lost at Home? 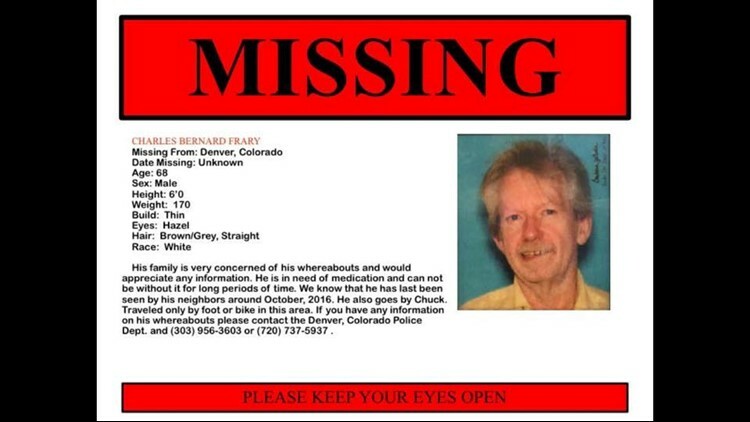 Blame: Lost at Home is a 9Wants to Know investigation into how Chuck Frary, 68, managed to vanish in the middle of his urban neighborhood and why, despite warnings, it took the city more than a year to find him dead in his own living room. Chuck Frary’s story began years ago, in the 1980’s, when his four children watched their father descend into the grips of mental illness. He became emotionally and physically abusive. 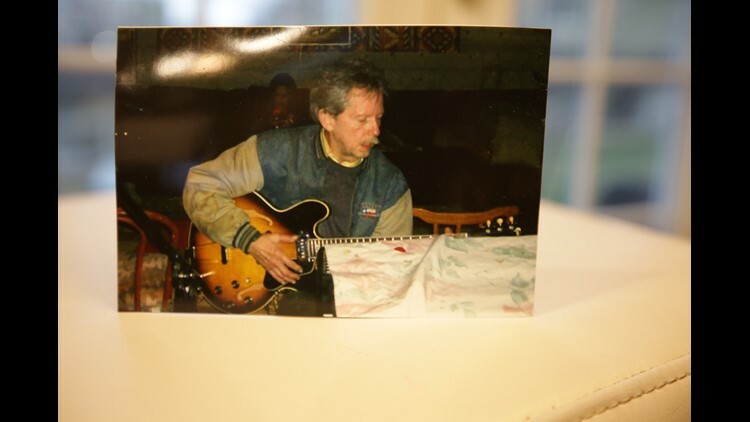 After living alone for many years, his children became estranged from their father. Kevin Frary, Chuck’s oldest son, has a hard time remembering anything good about growing up. “I have one good memory of my dad, and that’s when we were sitting on the side of the mountain. We had just been hunting all morning," Kevin Frary said. "The sun finally was getting to where we are not freezing to death, and we sat there and we had some breakfast. We’re cracking jokes and he was smiling and that memory fades away and it’s all bad after that. That’s the only memory of my dad and me getting along." 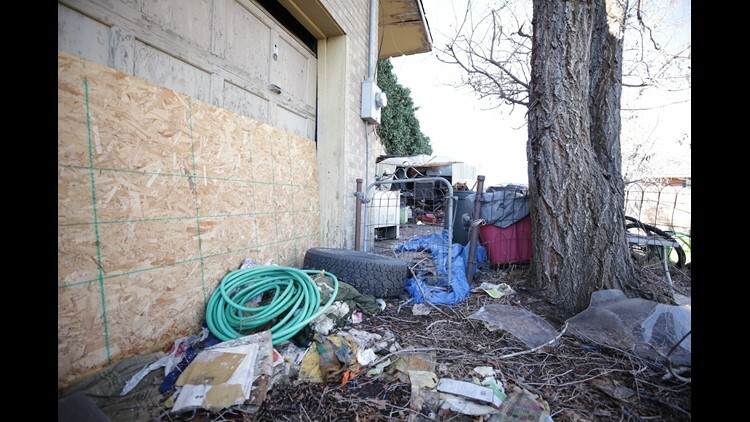 Despite the estrangement, Susan Frary said she’d still see her father a few times a year, mostly around holidays, but he’d never let his children into his home at the corner of West 50th Avenue and Tennyson Street in northwest Denver. At one point, Susan Frary said she went to a counseling session with her father. Neighbors like Kristi Petersen barely saw Chuck. During her 15 years living two houses down from him, Petersen said she can only recall one brief encounter. “You know that one conversation, that singular conversation I had with him walking up the street was a pleasant interlude in a pretty reclusive guy’s life,” Petersen said. On Feb. 13, 2017, a year before Chuck Frary was found dead, a mysterious visitor came to Frary’s son Brian’s door, delivering some disturbing news. FIRST SEASON OF BLAME | Blame: Was the death of Jill Wells an accident or murder? “He knocked on my door like at 9 o’clock at night. It was weird. He just said he was a neighbor of my dad’s they haven’t seen him in months, so they thought he was missing,” Brian Frary said. The visit by the man named “Mike” prompted Brian Frary and his brother Jeff Frary to call Denver police. They then searched their father’s home late that evening. “We basically had to pry our way into the backdoor and search in there with flashlights,” Jeff Frary said, describing that first night. They found no sign of their father inside, so the brothers returned the next day. What they found were debris piles nearly reaching the ceiling. Every room was full of trash. After searching the home with no signs their father was dead or alive within the piles of debris, they filed a missing persons report on Feb. 14, 2017. Neighbors also said they haven’t seen Chuck for months. 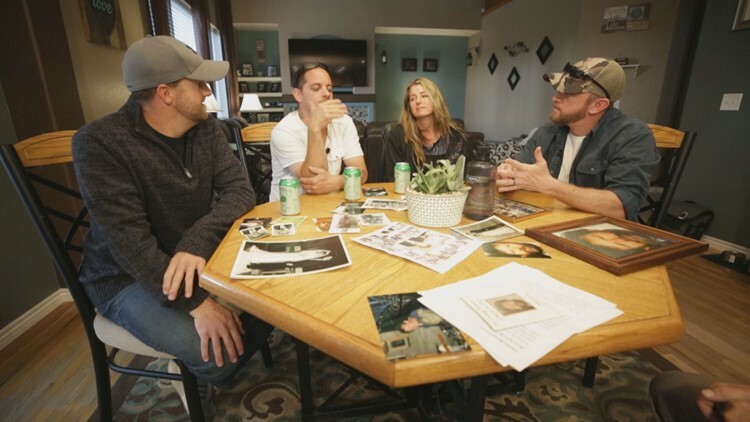 Kristi Petersen believes she may be the last person to see him alive, which would have been around October 2016, she believes. The family insists they didn’t see their father’s remains when they first searched the home in February. They looked again in March and didn’t see him in the home that time either. Finally, Chuck Frary was found on Feb. 22, 2018 after the city’s Department of Public Health and Environment entered the home and searched through piles of debris. 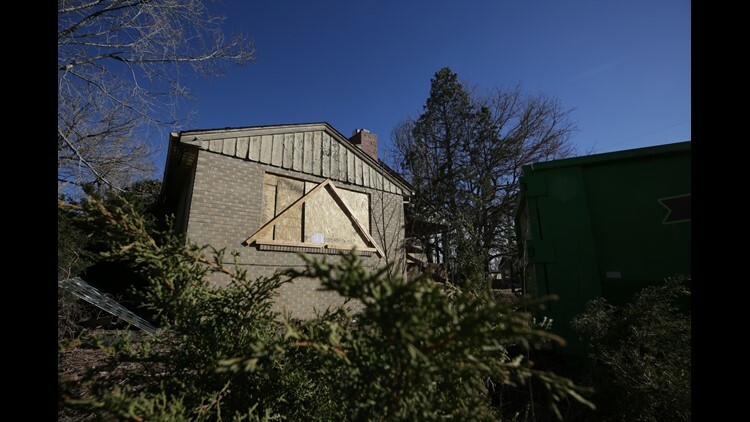 The city was first warned about the possibility of a deceased body in the home as early as Feb. 4, 2017 from a neighbor’s 911 call. And 383 days later, the city finally made the effort to find Chuck’s remains in his own living room, buried among several feet of debris.